Millions of Americans find themselves among the Sandwich Generation, a group responsible for raising their children, and providing elderly care for their parents. To say the least, this is nothing less than challenging and at times stressful. We all hope that our parents will age gracefully but unfortunately for many of us it does not always turn out that way. Caring for young children is in itself a full time job, well try adding caring for an aging parent on top of that heavy work load. This entails preparing meals, attending to personal hygiene needs, and staying on top of medication schedules. Added on to the responsibilities of caring for your own children, household tasks, and work this leaves little room for yourself or the needs of your significant other. With the responsibilities and obligations that many of us have today, let’s face it some of us need help. Even though we would like to think that we are superman or superwoman, the reality is that we are not. At home elderly care may be a way for you to lighten your work load, keep your parents in the home that they have cherished for years, and provide a way for you to know that they are properly cared for. Preferred Care at Home is known for providing elderly care services for low and affordable prices. With in home care you do not have to worry about your parents losing or sacrificing any of their treasured belongings, they can remain close to you, and you will know that they are in good hands. 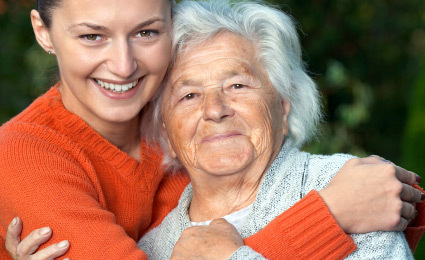 Our services provide you and your family with a caregiver who has a genuine love and desire to help the elderly.